The Ford EcoSport Signature Edition is a limited edition model priced at Rs 10.99 lakh (ex-showroom, Delhi) for the diesel spec. The Signature Edition is an optional package offered on the Titanium trim, and is the only variant aside from the EcoSport S to feature an electric sunroof. Other features include diamond cut 17-inch alloys, chrome surround on the front grille, black fog lamp bezel, rear spoiler and roof rails. On the inside, the Ecosport Signature Edition gets an all-black theme with blue colour accents on seat stitching, centre console and the instrument panel. There’s also a 9-inch touchscreen infotainment system instead of the 8-inch unit offered in the Titanium+ and S variants. Powered by a 100PS, 1.5-litre diesel engine paired to a 5-speed manual transmission, the EcoSport Signature Edition returns a mileage of 23kmpl. 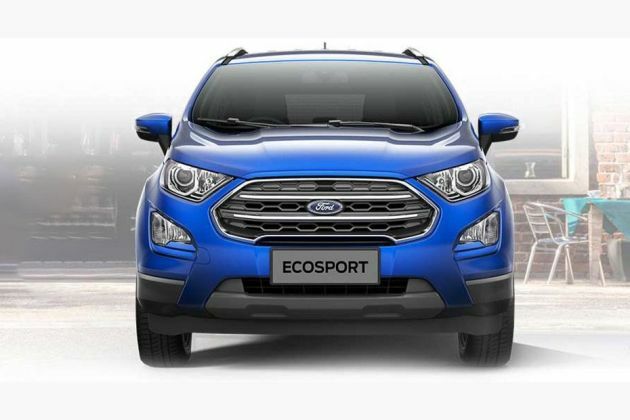 The EcoSport Signature Edition is also available with a petrol engine. Know more about it here.